With an entrepreneurial attitude and over 60 years of combined experience, AIS|CRE offers a wealth of market knowledge and industry contacts, providing an individualized value-added approach for all clients. Andrew Sacher is the sole principal of AIS|CRE. Over the past 30 years, he has been involved in the brokerage, investment, acquisition, and development on a wide spectrum of commercial, mixed-use, and residential properties. Andrew is one of two managing partners in a private mixed-use portfolio of industrial, office, and retail properties that includes approximately 30 multi-tenant buildings in Massachusetts, adding up to approximately 2,000,000 square feet of space. He is involved in all major tenant, construction, and finance decisions within the portfolio. He focuses on comprehsive advisory service and new acquisition deals. Over the last 15 years, Andrew’s focus has shifted from searching for and assembling land for both multi-family and shopping center developments to corporate advisory assisting large corporations with multiple locations expand and/or renegotiate existing leases. Andrew is constantly aware and always looking to take advantage of opportunistic deals and/or undervalued assets to enhance and grow the portfolio and its performance, from bank sales to raising capital. This affords AIS|CRE the ability to facilitate short-term mezzanine financing and quick-close capabilities on attractive properties. Andrew lives in Wellesley with his wife and two sons, and graduated from Tufts University (B.S. Economics – class of 1988). 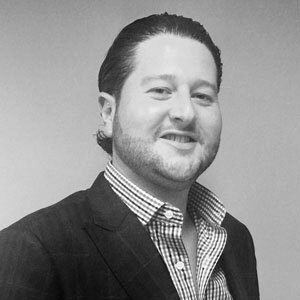 Jason’s primary focus is commercial brokerage and advisory services as well as business development, as it relates to the firm’s investment portfolio. His wide array of knowledge and expertise in Tenant & Landlord representation for Sale/Lease transactions covers numerous sectors, markets and property types, including office, industrial, retail, multifamily. With over a decade of experience, Jason is able to offer a unique and accurate perspective as it correlates to negotiations and deal structure. Jason is well-versed in raising capital for equity deals and providing mezzanine financing solutions on a smaller scale and basis. He graduated from Ithaca College in 2006 (B.S. Business), and now lives in Boston. He is an avid golfer, and is involved with charities including Big Brother|Big Sister and The Bridge Center, where he serves on the board. Randy affiliated with AIS|CRE in 2013 and brings over 20 years in commercial real estate, including extensive functional experience with all major property types. Randy provides multi-disciplinary services to our advisory clients, specifically within the asset management, leasing, acquisition, and development fields. 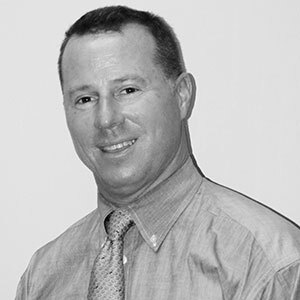 Prior to his affiliation with AIS|CRE, Randy was a Vice President and Director for The Simon Companies. He also served as the Real Estate Leasing Director for The Kraft Group, focusing on the company’s real estate development activities adjacent to Gillette Stadium in Foxborough, Massachusetts. Earlier in his career, he spent six years at Boston Properties, one of the largest owners, managers and developers of first-class office properties in the United States. Randy has served in volunteer positions at many Boston-based organizations, including the Combined Jewish Philanthropies, Jewish Vocational Services, and Tufts University. He holds a BA from Tufts University, and an MBA from the FW Olin School of Business at Babson College. 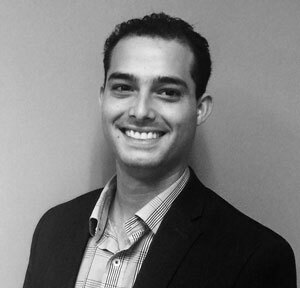 Matt joined AIS|CRE immediately after his graduation from Rollins College in 2014. With a bachelor’s degree in Communications and concentration in Public Relations, he adds his marketing and client services knowledge to help expand the firm’s portfolio and management services. Matt has honed his expertise in customer service from his past employment in retail sales over the last ten years for his family’s business. Since joining AIS|CRE, Matt has worked side by side with Andrew, Jason, and Randy, constantly staying involved in new investment opportunities. He serves as the right hand for the team, and helps the firm to grow and expand their accounts. Matt grew up in Weston, MA and currently resides in South Boston. Sarah has been supporting and consulting for the AIS|CRE team since 2010. Sarah executes all branding and marketing decisions for the company. She has worked as a partner with AIS|CRE and as a liason through her position at SVN|PCG, where she oversees the operations and administrative decisions for the company. She helps carry out many of the AIS|CRE projects, working on the backend to bring transactions to a close, and advises the team on business development and marketing strategies.